Viber is a popular messenger that is often called mobile social network because of the high number of functions and the possibility of communication for free. Millions of people are using the app on different devices and operating systems. However, there are still a number of cases that make you stop using an application. Although there are still several details you need to know before deleting the program, you will need just a couple of seconds to uninstall Viber on Mac OS. Note: there are two kinds of uninstallation process of the following app. These are deleting the program and deactivating its account. Your account deactivation from one device will be reflected on all your other devices as well. You will not be able to access your app’s account from any other device. Deleting the app from your Mac will not remove your data and account completely. You can still use it along with all your information and contacts from other devices. Your address book will be deleted from server within 45 days and your phone number will be disconnected from the app in a year. To delete the program along with your account you need to deactivate it. 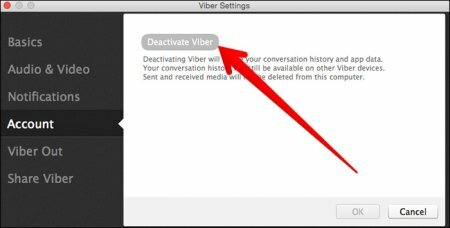 How to deactivate Viber on Mac OS? 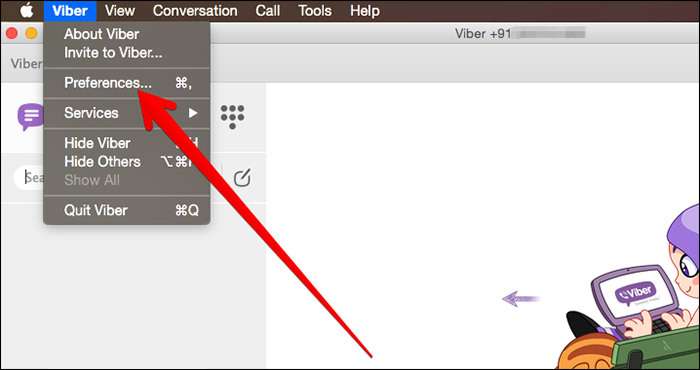 You can also click on settings from top right corner to perform the same action. Then you will see a small pop-up window. A pop-up window will appear with 2 options: Cancel and Deactivate. If you are sure you want to uninstall Viber on Mac OS completely, choose Deactivate. This will erase your data from the app and deactivate the program on your device.